Some people are put off scanning legal documents under the assumption that they will be left with a scanned image that can just be viewed and nothing else but that’s simply not the case. There are a number of different reasons why law firms look to change the way they handle documents, from wanting to free up office space to increasing office efficiency, and this is when they tend to come across the idea of legal document scanning. The benefits of scanning legal files and storing them digitally speak for themselves but there is still a common misconception that stops people from deciding to go digital. They think that once a document has been scanned it is just kept there as a static image with only a title to distinguish it from other files but there’s a secret weapon waiting in the document scanning wings. That secret weapon is Optical Character Recognition (or OCR). Optical Character Recognition is the process of converting digital scanned images into fully editable electronic files such as Word files, Excel spreadsheets and XML, CSV, PDF searchable formats. OCR conversion can transform the flexibility of your digital documents enabling you to retrieve files by searching words found in the body of the documents. It can also help you to create online directories of client’s details to make files relevant to each client easily accessible. OCR can even work on non-English documents such as those in French, German, Portuguese, Italian, Spanish, Urdu, Arabic, Russian and many more. So can you apply OCR to scanned legal documents? In short, the answer is yes. 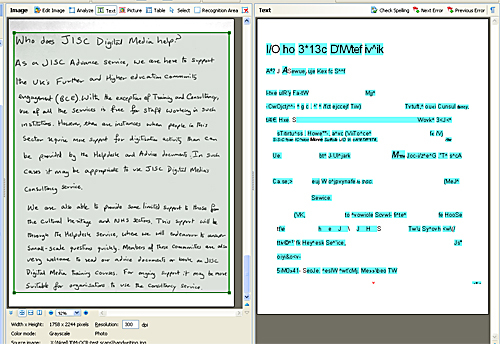 You can apply OCR software to digital legal documents. Depending on the quality of the images, the accuracy may vary so if a document is old and worn and the scanned image is of low quality, less characters will be captured during the process. However, this is often not a problem with legal files as their condition is usually good enough. Here at Pearl Scan, we provide a complete and bespoke document scanning service for businesses within the legal sector. We specialise in the scanning of legal files and documents including IVA & debt management files, police reports, litigation documents and reference materials as well as any other legal document you need to be scanned. We can apply Optical Character Recognition software to the scanned images with up to 99.99% accuracy to enable efficient file retrieval through simple content searches. We operate from a secure Manchester based scanning bureau protected by CCTV and RedCare security systems and provide scanning services to companies, organisations and individuals in London, Manchester, Birmingham and across the rest of the UK. For more information about our legal scanning services get in touch and we will provide you with a free, no obligation quote for your scanning project or you can check out our dedicated legal scanning site.